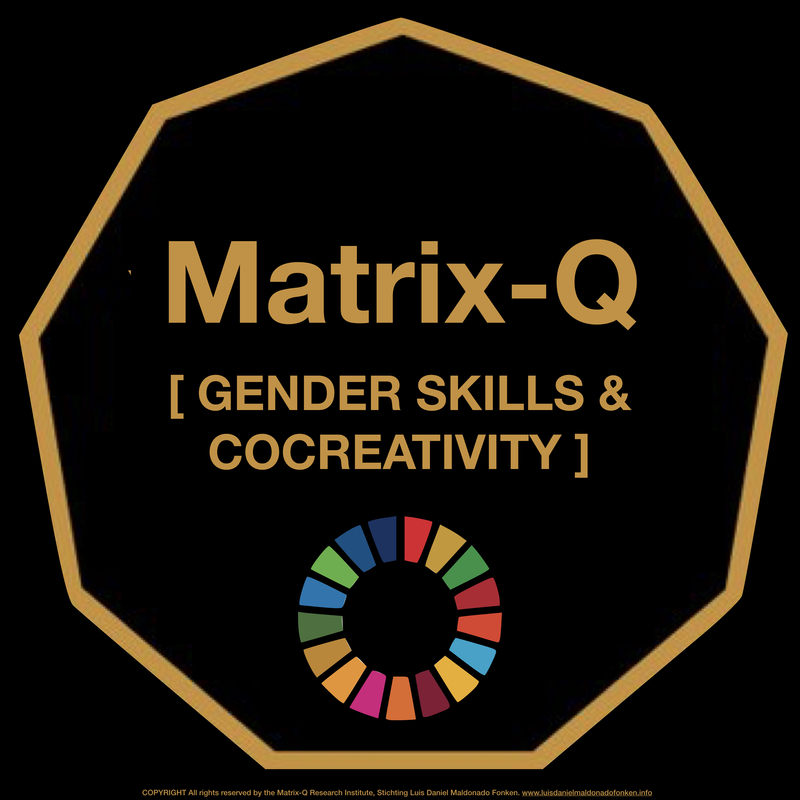 Matrix-Q Co-creativity is an inclusive approach to gender and education, which gives strong attention to human effectiveness enhancement. 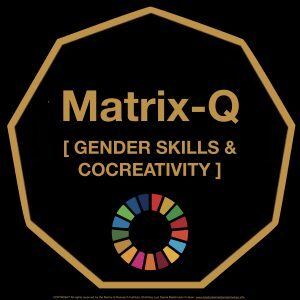 Matrix-Q Cocreativity expertise is on human capital, protection, maintenance and enhancement; focus on skills, leadership and family-life-work balance. For its development, have been integrated into its model: nature laws, principles, rhythms, cycles and human stages of development (human potential, human intelligence) along a systemic, holistic and strategic understanding of the human survival and evolution challenge. Co-creativity follows the metaphor of co-parenting, in which both parent takes responsibility of the development process and environment conditions children grown, learn and evolve. When both parent develop the ability to listen to each other, communicate, collaborate, set values and priorities, strategies and decisions together, for the well being of each of the family members and sustainability of the whole family as one single unit each family member care for and holds space for along individual daily activities and choices. Wishing for the children to contribute as well with the well being and sustainability of the family and community. Cocreativity means as a skill, the ability to create and care together for the life of our creations, in that sense a natural understanding of human species responsibility over its own creations and the systemic impact they have over human ecosystem and on the earth planet.